Under the agreement with the Justice Department, Charter will be barred from inserting or enforcing most-favored nation (MFN) clauses in its carriage agreements with programmers — a tactic many pay-TV providers, particularly TWC, have used to discourage programmers from making their content available on OTT platforms. Charter will also be required to make high-speed internet connections available in 2 million additional locations, 1 million of which must be in areas already served by incumbent providers. Critics of the merger blasted the deal as a sell-out. The Stop Mega Cable coalition, which includes Dish, Consumers Union and the Writers Guild of America, was only slightly more sanguine. The continued consolidation of the wireline broadband business is a genuine concern, which the merger inarguably makes worse. But on its own terms, the deal worked out by the FCC and the DOJ to approve the merger does some useful things. Chairman Wheeler clearly wanted to regulate interconnection deals as part of the commission’s Open Internet Order (net neutrality) but he stopped short of directly regulating them no doubt for fear it would be insufficiently consumer-facing to pass muster with the courts. Instead, he settled for asserting FCC authority to review interconnection deals on a case-by-case basis for consumer harm or threats to competition. He also refrained in the net neutrality proceeding from prohibiting data caps on wireline broadband service for fear it would look like back-door rate regulation, which he had vowed not to engage in, both in hopes of gaining political support for the order as well as, again, not baiting the courts into vacating the entire order. The conditions in the Charter deal, of course, apply only to Charter, not to Comcast or any other operator. 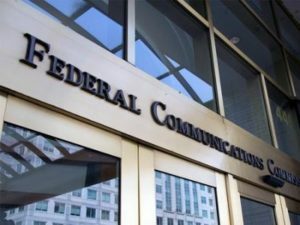 But the ban on charging interconnection fees sends a strong signal to the market that the FCC’s case-by-case review of such deals isn’t likely to break operators’ way, which could have some deterrent effect. The ban on data caps and usage-based pricing in the Charter deal is likewise an invitation to consumers and OTT providers to bring complaints against other operators who impose overly parsimonious caps. The deal also sends a strong signal to the market that the Justice Department takes a very dim view of MFN clauses that limit OTT providers’ access to programming. The message that sends to media companies is that they risk entangling themselves in antitrust problems largely for the benefit of operators, which may be all the incentive media companies need to resist operator demands for MFN clauses in future carriage deals. Basically, Wheeler and the Justice Department are using the agreement with Charter as a deterrent, to try to buy some time and space for OTT providers to accumulate enough market power that formal regulations on data caps and interconnection become unnecessary. They’re doing it at the price of greater wireline broadband consolidation, although Wheeler has already made it pretty clear he views wireless broadband as the most viable long-term source of competition for the incumbent wireline monopolies. That’s why he’s been more lenient with wireless providers on issues such as data caps and zero-rating, and why he has pushed forward the incentive auction to claim more spectrum for wireless broadband services. Is it a bargain with the devil, or a concession to political and legal reality? Or is that a distinction without a difference?